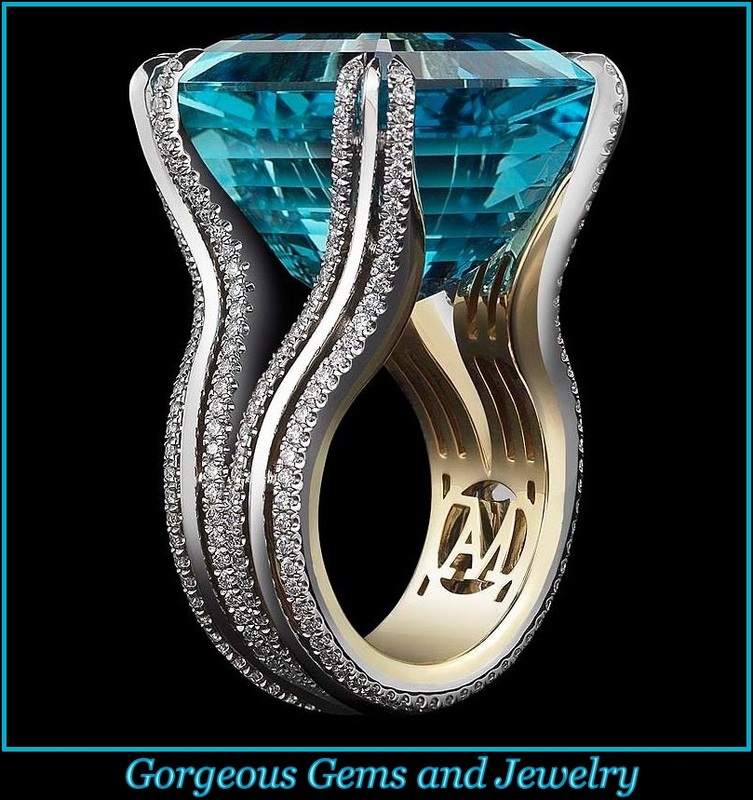 The bangle presented here is an impeccably designed piece of jewelry and especially well-crafted with the celebration of the sapphire in mind. The bangle’s face which is encrusted with precious gems measures 5/8” wide and tapers down to 5/16”. It opens on its side with a push down clasp and 2 locking hinges are attached for added security. There are 116 round cut bead set natural sapphire’s encrusted along the center of the bracelet’s face and they are set on black oxidized gold which enriches the medium to dark blue hues of the sapphires as well as brightens the accenting diamonds. The total weight of the sapphire’s is approximately 4.00 carats. There are 166 round full cut bead set natural diamonds in white gold set on each side of the sapphire cluster which there are 83 diamonds on each side. The diamond’s are I-J in color and I1-I2 in clarity and weigh about 5.00 carats total. 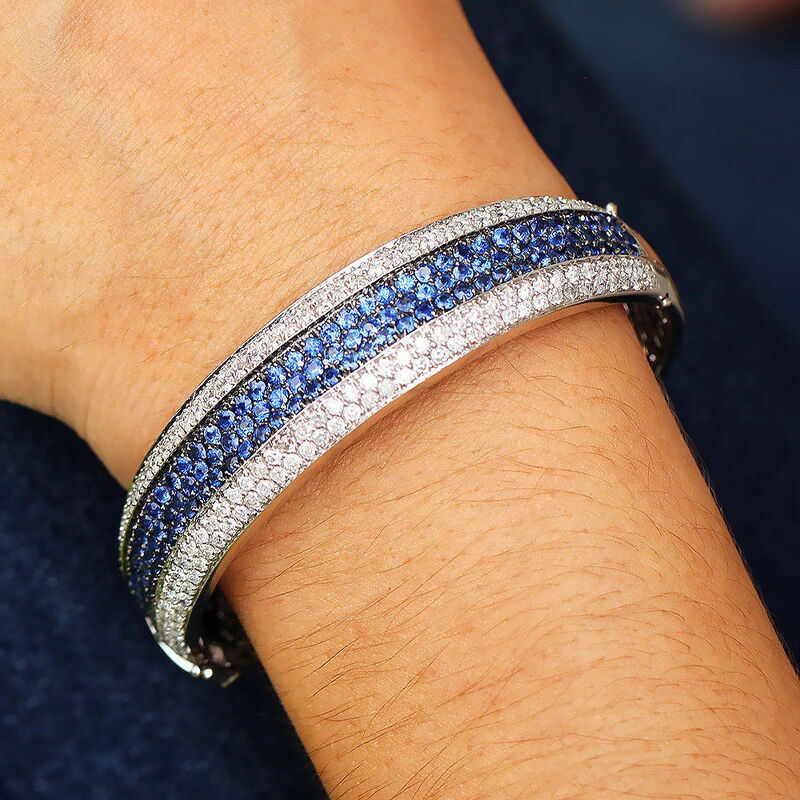 When the bracelet is in motion, all you see is sparkle. The bangle weighs 47.0 grams and its interior length measures 2 1/4” across and 2” wide. It features a beautiful cross-hatch design on its interior gallery. The bracelet is in spectacular condition.